Boston Business Journal Report: Tasty Legal Dispute? BBJ Report: Tasty Legal Dispute? Tasty Burger and Chipotle are apparently in a beef after the Mexican chain decided to expand into the burger world. 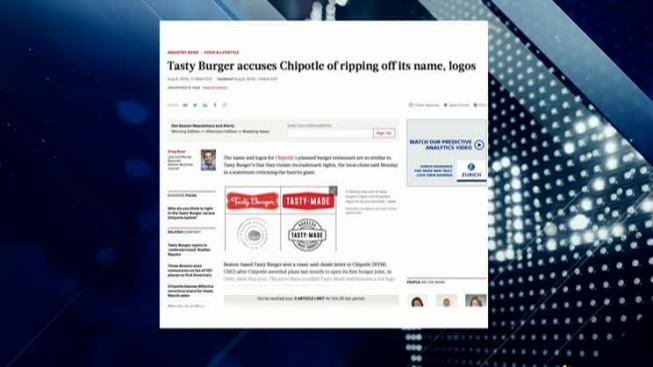 Chipotle announced recently it was starting a new burger concept called "Tasty Made," but the owners of Tasty Burger claim the new logo and mark and unmistakably similar to theirs. Chipotle sent a statement to necn reading in part, "We believe there is sufficient difference between the names and the logo marks so as to not cause consumer confusion, and we believe both brands can co-exist." Tasty Burger, which has restaurants in Boston and Washington D.C., has since sent Chipotle a cease and desist letter.